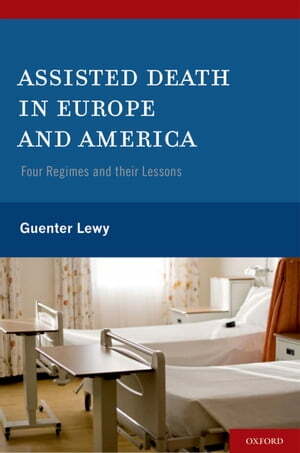 Collins Booksellers - Assisted Death in Europe and America by Guenter Lewy, 9780190454012. Buy this book online. Advances in medical treatment now enable physicians to prolong life to a previously unknown extent, however in many instances these new techniques mean not the saving of life but prolonging the act of dying. In the eyes of many, medical technology has run out of control and contributes to unnecessary suffering. Hence the demand has arisen that patients should be entitled to choose death when pain and physical and mental deterioration have destroyed the possibility of a dignified and meaningful life and that their doctors should help them to realize this endeavor. At the present time there are seven jurisdictions in the world that, with various restrictions, have legalized the practice of assisted death -- physician-assisted suicide and/or voluntary euthanasia - to wit, the Netherlands, Belgium, Luxembourg, Switzerland in Europe and the states of Oregon, Washington and Montana in the United States. Four of these regimes - in the Netherlands, Belgium, Switzerland and the state of Oregon -- have been functioning for many years, and we have for them a substantial body of data as well as much observational research. This book is based upon this material. The literature dealing with the moral, legal and social aspects of assisted death is voluminous, but there is a paucity of writing that provides a detailed account of the way these four regimes are actually working. Many partisans, on both sides of the issue, cite existing data selectively or, at times, willfully distort the empirical evidence in order to strengthen their case. Based on the documentary record and interviews with officials and scholars, this book seeks to give the specialist as well as the general interested reader a reliable picture of the way assisted death functions and to draw relevant lessons. While accurate factual information cannot settle a moral debate, it nevertheless is a precondition of any well-founded argument. 'The author speaks authoritatively about the issues he addresses.